Truth be told - Taylor Swift is a pop phenomenon that has so far by passed me. Sure, I am familiar with the omnipresence of her in mainstream media, but I would not have been able to describe the DNA that makes her the superstar she undoubtedly is. Reason enough to check out what is behind the mass hysteria that manifested itself in a nearly sold out stadium show – a spectacle that was meticulously orchestrated with a production of immense proportions. Pyrotechnics galore, video projections gargantuan in scale, flame throwers, fireworks and epilepsy inducing lighting framed Swift’s and her dance troupe’s performances and set them in scene in a manner that enhanced the pitch perfect delivery without diluting the essence of her natural artistic talents, whose nuances were highlighted during the more stripped back, acoustic parts of the show. It was not difficult to see that the Taylor Swift camp has refined their art of creating result oriented large-scale performances, as the audience was ecstatic and reacted with glee to the big gestures that were extended as well as the spot-on camera action, which enabled even the most remote sitting attendee to feel like being part of the action. Despite the show being delayed due to electrical thunderstorms and on-going rain, it did not dampen the mood of the nearly 80,000 strong audience – au contraire, it seemed to heighten the anticipation and Swift’s performance seemed to indicate that she was making an extra effort to make up for the adverse weather conditions and honour her followers’ loyalty, with the bid where she was chair lifted in a golden birdcage across the stadium. You might be able to read from my observations that she has won me over. Being a multi-instrumentalist and song-writer, she expertly navigated through the carefully orchestrated ebbs and flows of the show, which were emphasized by costume changes running the gamut from snakeskin outfits to jumpsuits, which signified the different components of the show. 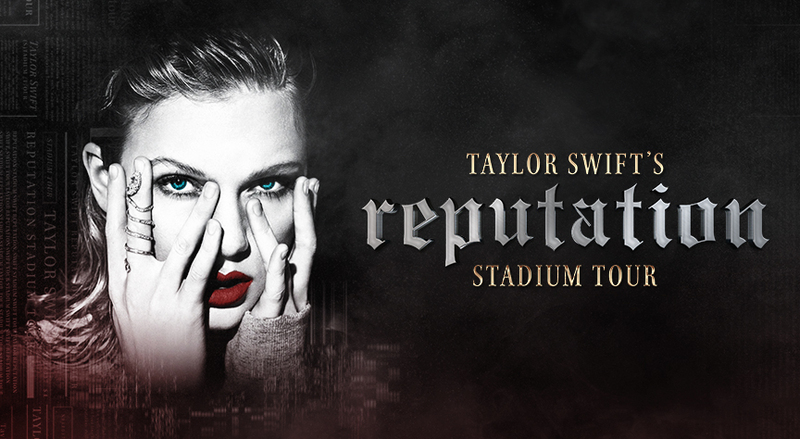 Taylor Swift in 2018 is a spectacle of epic proportions and a refreshingly joyous happening with a sense of intimacy that despite all the saccharine pop glamour seems to be centred around a genuinely talented artist – a spectacle that was thoroughly enjoyed by a diverse audience comprised of all ages, shapes and forms.